One race date and one rain date- both succumbed to rain and a poor race time forecast. However on Saturday night, Lamb & Webster as well as recently signed Southern Tier Logistics are ready to give it another go for a night of wings and things. Come feel the power and hear the roar as the methanol-breathing dragons come to life at Woodhull! Founded in 1960, Lamb & Webster is the go-to location for equipment sales, service and parts for all of your farm equipment needs. With the flagship store in Springville, NY, Lamb & Webster has proudly served the Woodhull community since 2002. Their Woodhull location proudly offers New Holland, Kubota, Cub Cadet and many other product lines…including equipment financing! Lamb & Webster proudly presents the Patriot Sprint Tour this week and will return as the headline sponsor for the July 28 Lucas Oil Tractor Pull. Southern Tier Logistics has served the Southern Tier for closing in on sixteen years now. Their parent company Ohio Logistics is celebrating their 30th Anniversary in 2018. Ohio Logistics is based in Findlay, OH. They have over 5 million square foot of state-of-the-art warehouse space, located in six different states- New York, Ohio, Pennsylvania, Georgia, Indiana & Kentucky. But Southern Tier Logistics isn’t just a warehousing company. Their multi-faceted family of locations also provides transportation, freight management, fulfillment, consolidation, cross docking, kit assembly, web-enabled inventory tracking and pallet washing. 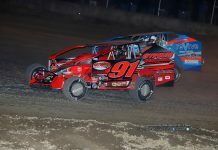 Eastern Regional General Manager, Nick Kinner, has served Ohio Logistics for 11 years on July 9 and is excited about the opportunity to partner with Woodhull Raceway starting with this weekend’s event. 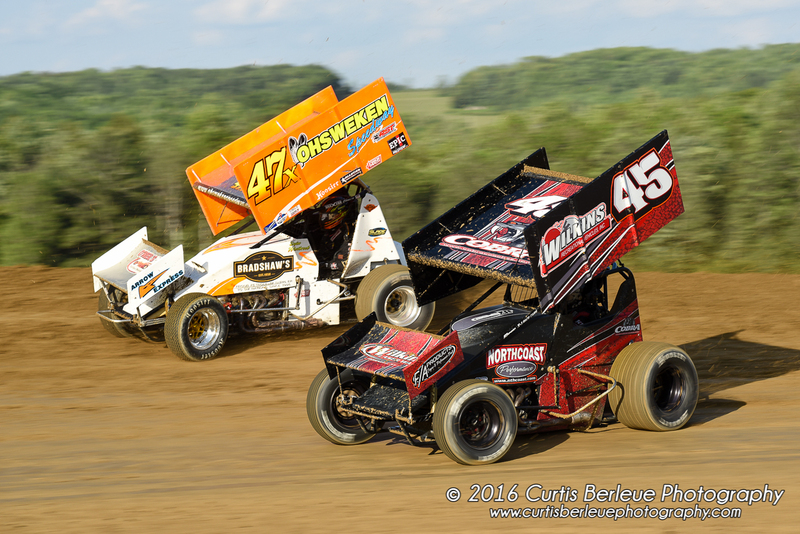 Southern Tier Logistics will kick the day off with a big employee bash on Saturday afternoon, including a cookout, free passes for Southern Tier Logistics employees and a driver autograph session with drivers representing each of Woodhull’s weekly divisions. 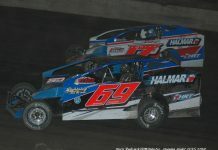 Woodhull Raceway’s divisions on the card for the night will be including the Insinger Performance Modifieds, NAPA Crate Sportsman, SWL Awards Crate Late Models, Joe Willcox Performance Automatics Street Stocks, Daugherty Auto Sales & Service Mini Stocks and Bear’s Auto Body Front Wheel Drives. Fans can find their way into the grandstands Saturday at 4:30 for only $18 for adults 13 and up. Seniors 62+ and Students 8-12 will be $9. 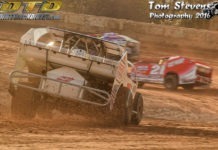 Children 7 and under are always free at Woodhull Raceway. Free camping is offered on the speedway grounds for those wishing to make it a weekend of family, friends and dirt track racing.